Roman ancient mortars have been widely studied, in connection with both diagnosis and application required for restoring. Thermoanalytical experiments performed on mortars from Pompeii and Herculaneum provided a very good understanding of the technology employed. The mortars from Pompeii were obtained by the proper mixing of lime and marble grains while mortars of Herculaneum by lime and silicates compounds. 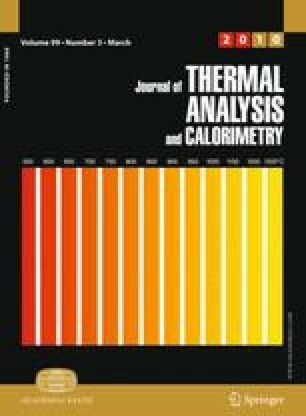 The position of the endothermic peak of calcite decomposition showed important variations in the different samples studied, which was assigned to the different crystallinity and particle sizes. Experiments under CO2 flow confirmed the presence of magnesium calcium carbonates. The authors gratefully acknowledge Dr. E. Millan (Fine Arts Faculty of Seville), Dra. M.C. Jimenez and Dr. A. Justo (ICMSE staff) and C2RMF staff for their assistance, and the financial support from contract MEC/FULLBRIGHT-FECYT 2007 and project MAT2008-06619/MAT (MICINN).